The Wind Turbine Technician program prepares you for the varied demands of the wind energy industry. Courses in math and physics reinforce your understanding of the mechanical and electrical systems on the turbine and hydraulic systems you will maintain. Extensive safety training and rescue drills ensure you understand and respect the strict protocols of the industry. You’ll gain significant experience during on the job training, servicing >100kw turbines locally and at utility wind farms throughout the Maritimes. By the time you graduate, you’ll be ready to start your apprenticeship in a number of positions in the wind energy industry, and will be well on your way to your Red Seal. 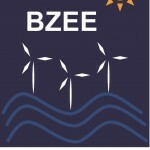 This program is a licensed BZEE training partner.